It’s my first Christmas in my first apartment with James with our first real Christmas tree. I’m learning how to celebrate this new holiday that will now be constant in my life and in my house during the holiday season. 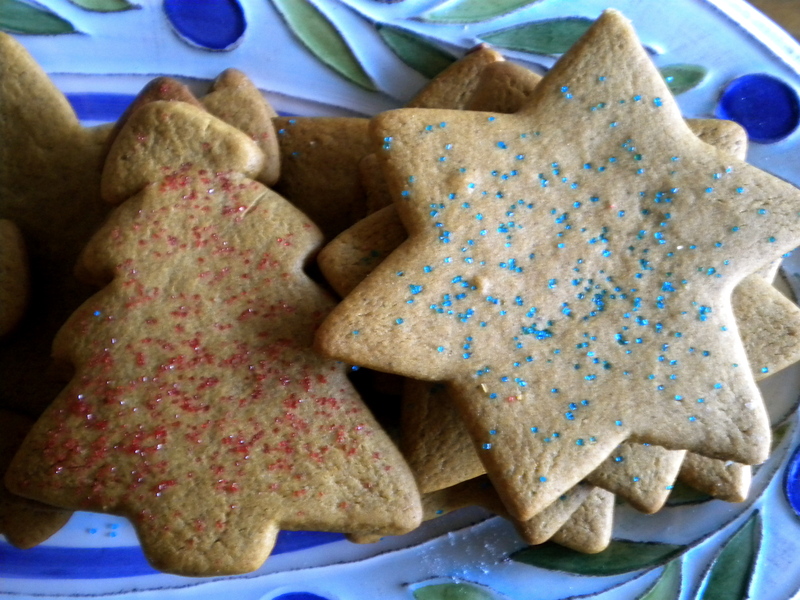 One item that seemed “Christmas-y” to me was ginger bread cookies. Not the snappy cookies that are also really good. But the soft, chewy and somewhat spicy cookies with frosting. Is your mouth watering yet? Preheat the oven to 350 degrees and line cookie sheet with parchment. 2. Stir in molasses and egg. 3. Combine the flour, salt, baking powder, baking soda, cinnamon, cloves, ginger, and nutmeg; blend into the molasses mixture until smooth. 4. Cover, and chill for at least one hour. 7. Place cookies 2 inches apart on cookie sheets. Bake for about 10 minutes in the preheated oven, until firm. 8. Let cool for 10 minutes on pan. Remove from cookie sheets to cool on wire racks. Frost or decorate when cool. Voila! I’m on my way to establishing holiday traditions in my home!